Our home is so much more than just a place. It’s a feeling, a scent, a taste. The sense of home is connected to our personality and memories, yet something we want all our guest to experience and get a taste of. 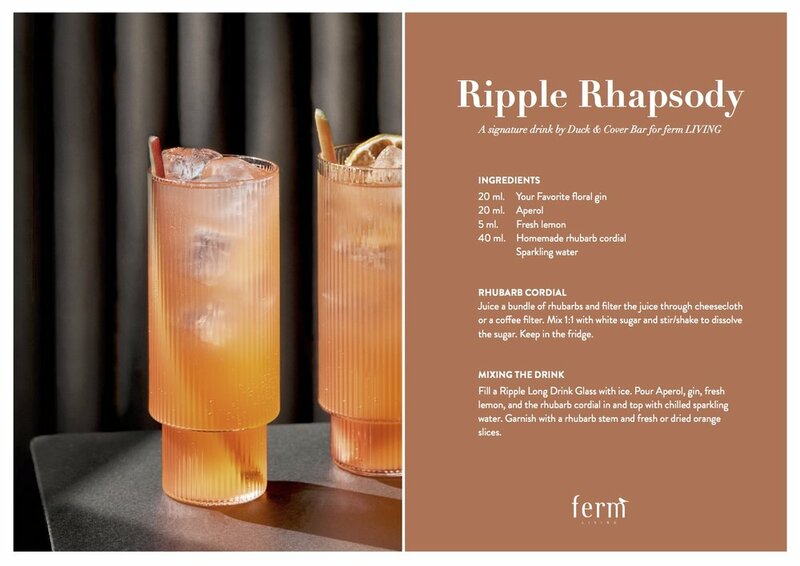 This is why the folks at Ferm Living in Denmark teamed up with the brilliant bartender of the Copenhagen bar Duck and Cover, Kasper Riewe, to treat their very own signature drink, served in the Ripple Long Drink Glasses. Made with homemade rhubarb cordial, gin and Aperol; it’s a taste of the home, and we call it Ripple Rhapsody. 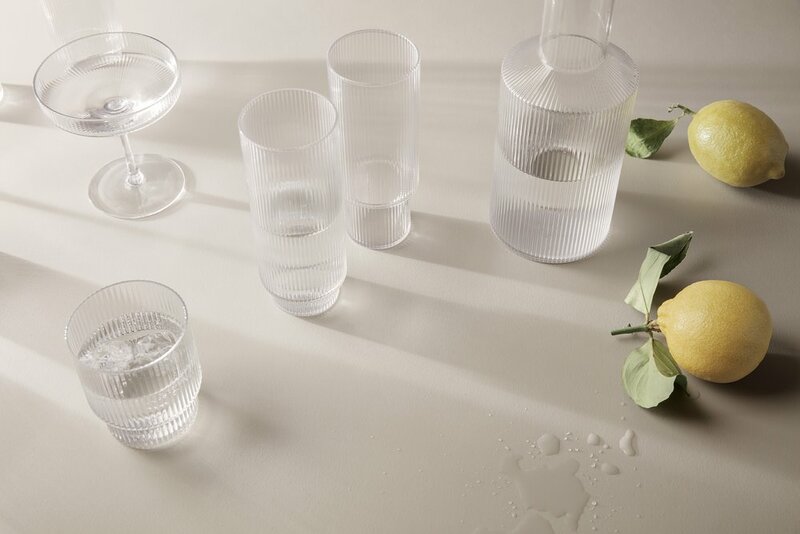 With the drinks served in the season’s favourite Ripple Glasses, we look forward to celebrating this sunny time of year.